Give your bagger a radical new look with awesome sound! 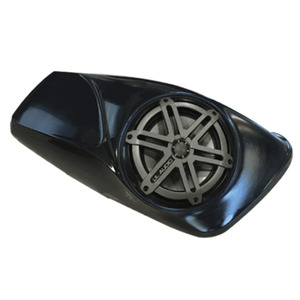 Our New Loud Daddy Speaker Lids easily fit your stock 2014 to Current Harley Davidson bags. The lids are manufactured by process of Urethane Injection. NOTE: These do not fit any speakers larger than 7.7¡å. Before you buy any companies 8.8 speaker lids ask people how they fit and if the latches work. Also be sure to ask how long it will take to get a pair. If you are a member of Chopped Baggers Forum this would be a good place to ask about quality of products. Accommodates Harley Davidson new hinge and latch set up.